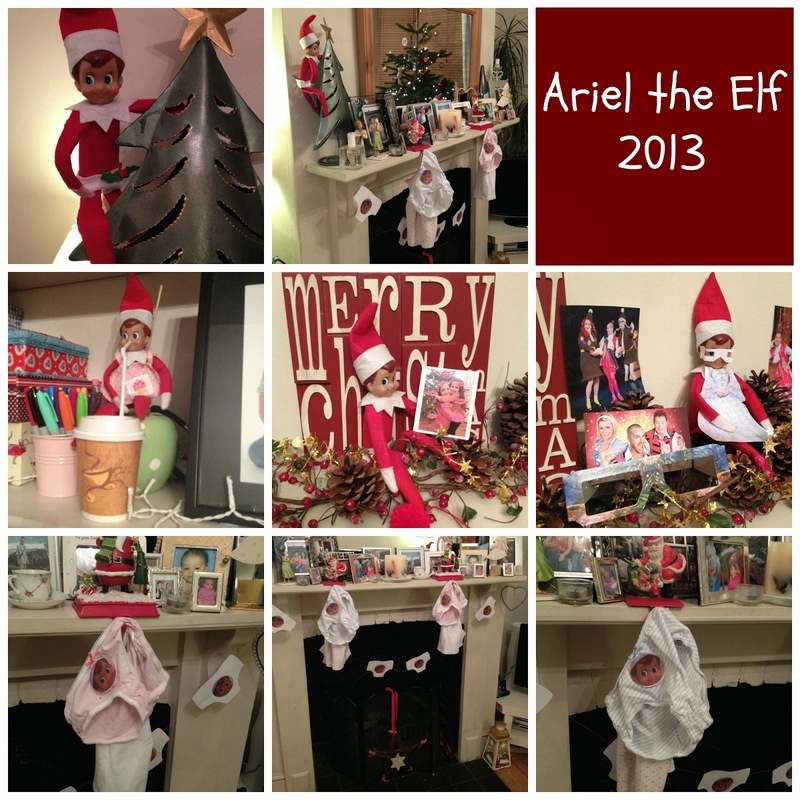 Some of you may know that during December we have an extra house quest called Ariel the Elf. 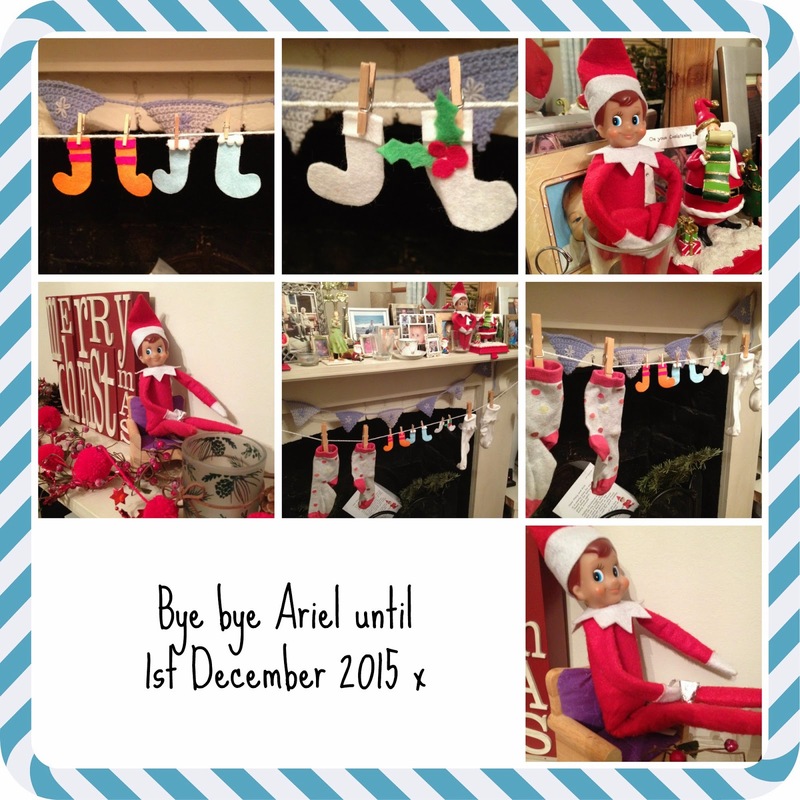 Ariel arrives with much excitement (and quite often gifts, she's a very generous Elf) on the 1st December. 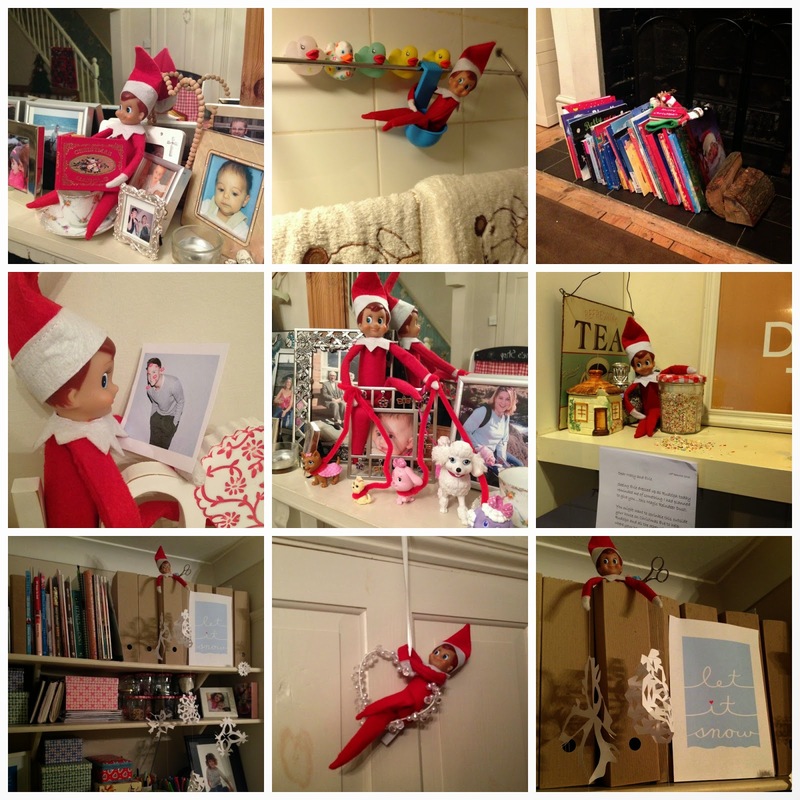 Each night she flies back to the North Pole using her Elf magic and reports all good behaviour to Father Christmas. 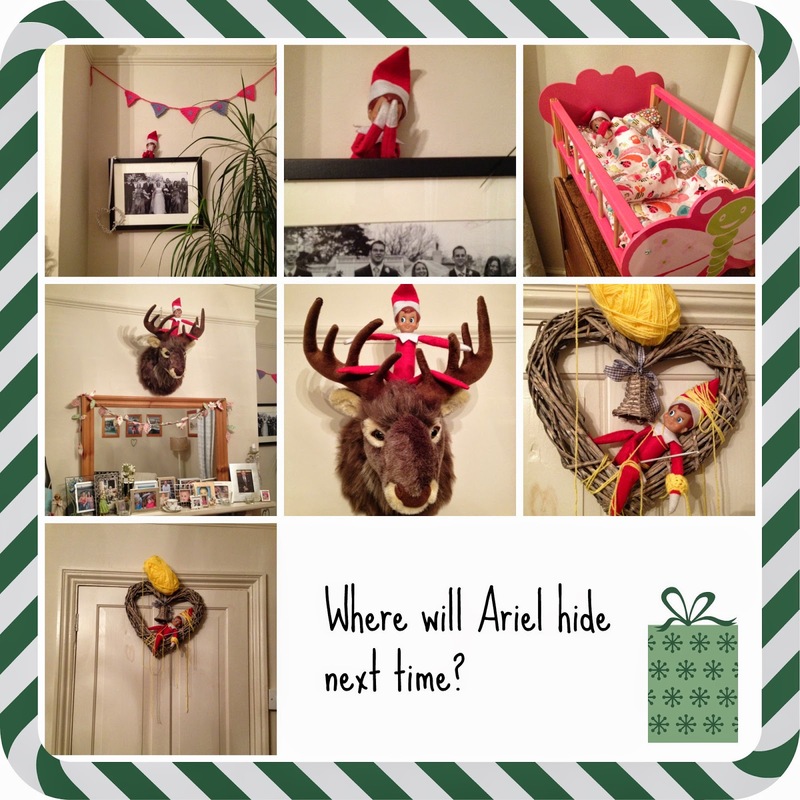 Then every morning she hides in a different place ready for Miss M and Miss E to find her. Sometimes she is just hanging about watching what's happening and taking it all in but other times we find her in some very funny and frankly quite cheeky situations. 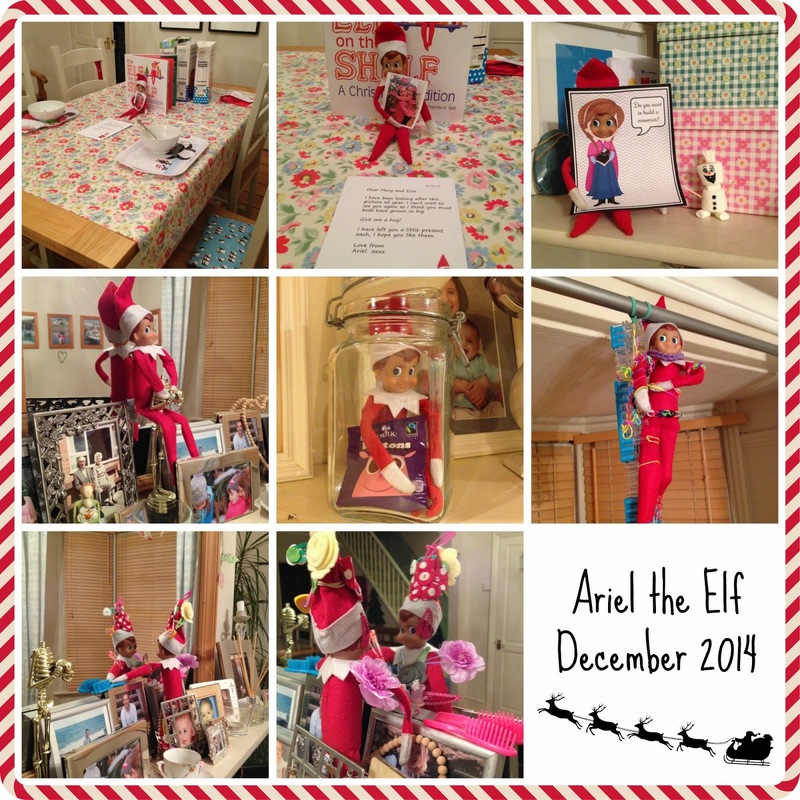 Ariel arrived this year clutching the Christmas photo of Miss M and Miss E from last year along with a lovely Christmas jumper for them both. 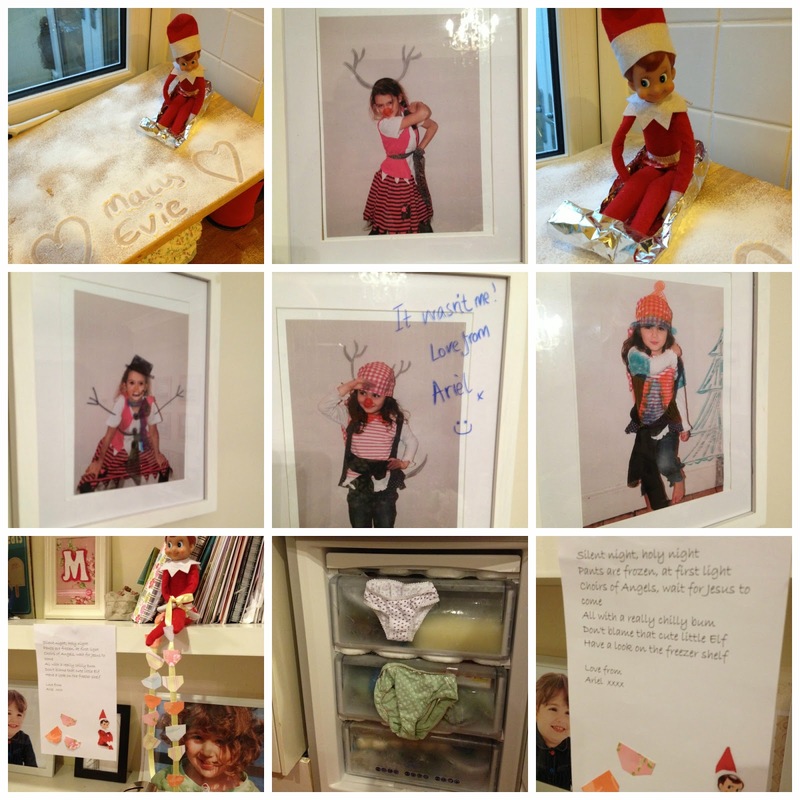 She was caught red handed with the Choccy Buttons, didn't seem to get on particularly well with loom banding, loved trying on Miss E's hairclips and pretending to be Anna with her very own marshmallow Olaf. 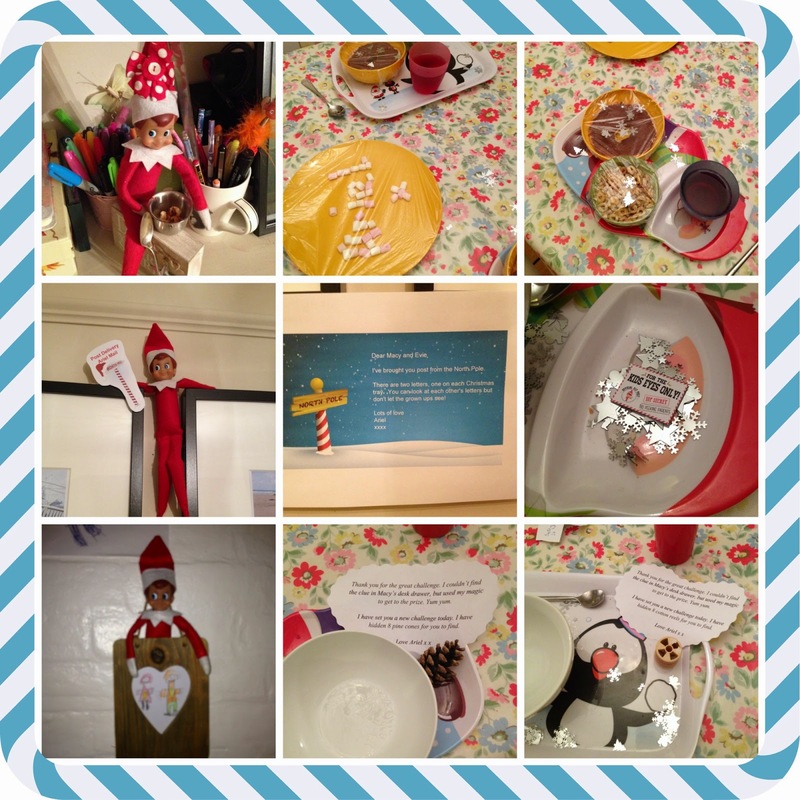 Ariel really is the perfect house guest and made breakfast on several occasions this year with some morning treasure hunts and secret elf size messages. I said she was a generous Elf and arrived on the back head of Sven the Reindeer on day! 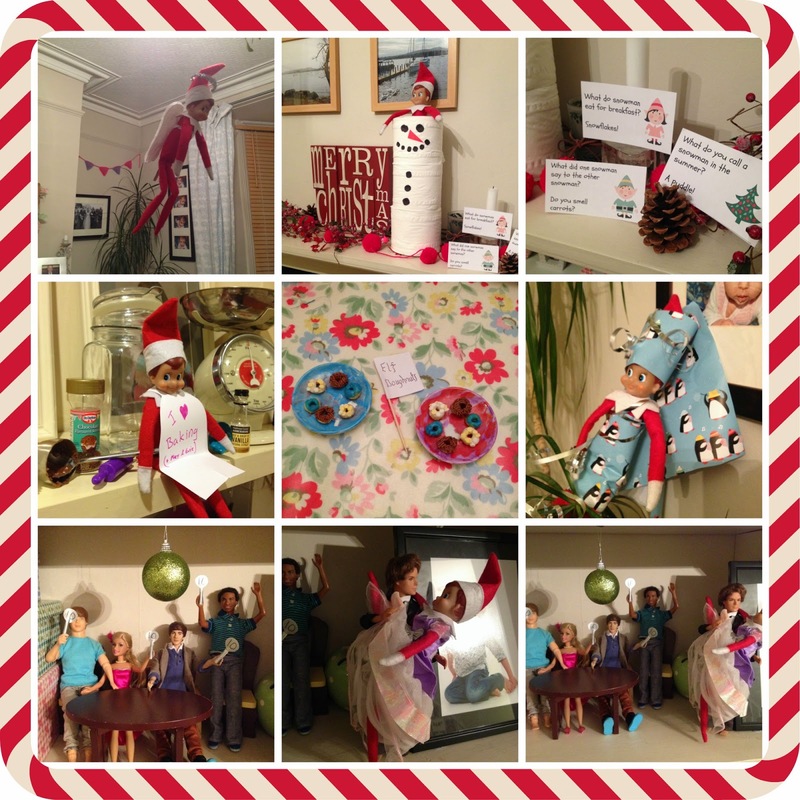 Her crocheting needs some more practice and we did catch her having a duvet day but then a guess all that to-ing and fro-ing from her to the North Pole, even with a good dusting of magic, must be tiring! 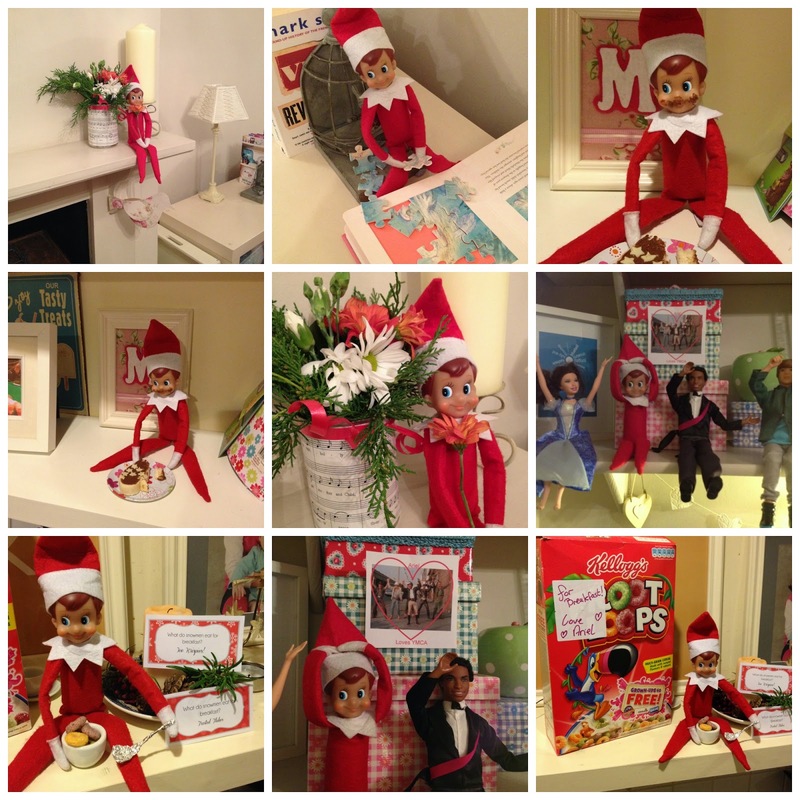 Flying with her very own angel wings, leaving a Christmas joke trail, baking tiny Elf Doughnuts and getting in a tangle with the festive wrapping paper all made us laugh but not as much as when she staged her very own Strictly Come Dancing show. Miss M thought she must have been watching Iveta Lukosiute with that vertical split move...looks like the judges were impressed too with a full set of 10s! "I'll see you next Christmas time"